Daniel Cormier fans might have reason to worry three weeks out from the “Champ Champ’s” first heavyweight title defense. 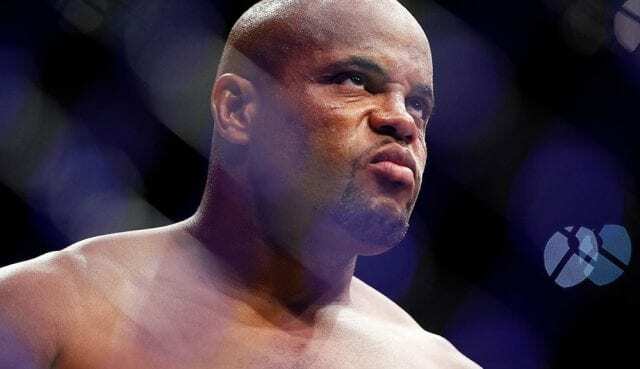 Earlier this month it was announced that Cormier would be headlining UFC 230 next month (Sat. November 3, 2018) from Madison Square Garden. “DC” will be defending his strap against beloved knockout artist Derrick “The Black Beast” Lewis. Initially, a women’s flyweight title fight was announced to headline the card, with Nate Diaz vs. Dustin Poirer serving as the co-main event. However, after Diaz vs. Poirier was called off, the UFC was able to lock up a big-time main event. Lewis earned his shot at the heavyweight throne with an impressive showing at UFC 229. After being dominated by Alexander Volkov for the majority of the three rounds they shared the Octagon, Lewis did the unthinkable. With seconds left in the fight, Lewis let off a hard blitz that was able to drop the Russian. After some subsequent ground-and-pound, Lewis was declared the winner via knockout with seconds to spare. He’ll now face one of the greatest fighters of all time in Cormier to main event the UFC’s third pay-per-view (PPV) from Madison Square Garden. The match-up will certainly be a difficult one for Lewis. He has struggled in the cardio department but proved that he has power that lasts well into a fight. In fact, Lewis might just be heading into the Octagon the healthier fighter of the two. 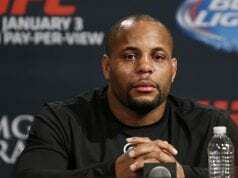 Cormier spoke to ESPN‘s Ariel Helwani on “Ariel Helwani’s MMA Show” recently. “DC” revealed that he still can’t make a fist as a result of the broken hand he suffered this past summer. 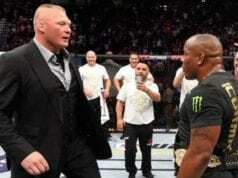 Cormier broke his hand in his UFC 226 heavyweight title win over Stipe Miocic. UFC 230 goes down live from Madison Square Garden in New York City on November 3, 2018.